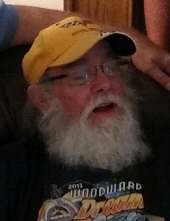 Perkins, Terry Andrew - Age 77, of Fenton, died January 24, 2019. Funeral services will be held 3 PM Sunday, January 27, 2019 at Sharp Funeral Homes, Linden Chapel 209 E. Broad Street, Linden. Visitation will be from 12 until time of service. Those desiring may make contributions to St. Augustine Catholic Church. Terry was born on August 17, 1941 in Detroit, the son of Joseph and Irma Perkins. He married Jeanette McDermott on December 12, 1963. He retired from Riemer Floors as a carpenter after 35 years of service. He loved his corvette and enjoyed car shows and being around family. Surviving his wife of 55 years, Jeanette; two daughters, Lynne (John) King Jr. of Wolverine Lake, MI, Debbie Garner of Florida; grandson, Scott (Heather) Garner Jr.; siblings, Roger (Gladys) Perkins, Floyd (Mary) Perkins, Bonnie (Rick) Sweet, Roy (Carol) Perkins; sister-in-law, Shirley Perkins; brother-in-law, Jack (Pat) Heady; many nieces and nephews. Terry was preceded in death by his parents; son, Jeff; siblings; Leonard, JoAnn (Roy) , Pat, Joe (Sharon); grandson, Brandon Garner and son-in-law Scott Garner Sr. Tributes may be shared at www.sharpfuneralhomes.com. To send flowers or a remembrance gift to the family of Terry Andrew Perkins, please visit our Tribute Store. "Email Address" would like to share the life celebration of Terry Andrew Perkins. Click on the "link" to go to share a favorite memory or leave a condolence message for the family.